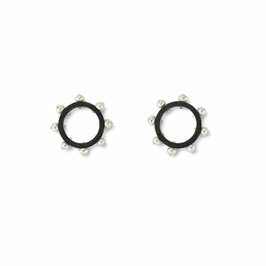 The studs frame the earlobe like a graphic element. 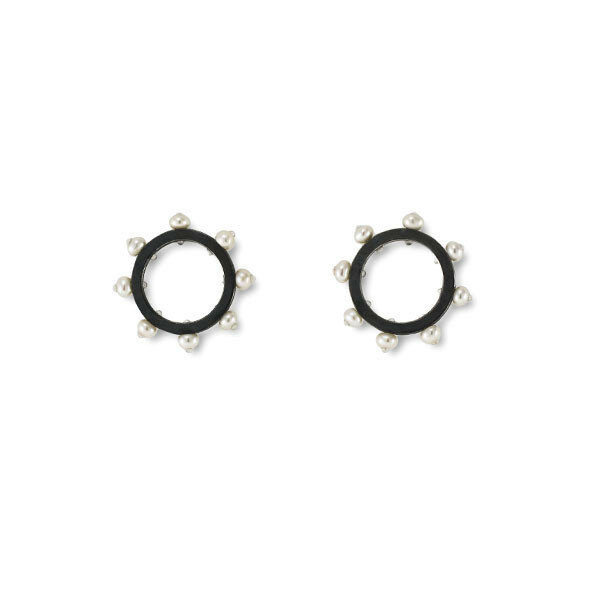 Small white cultured pearls contrast beautifully with the simple blackened sterling silver ring. 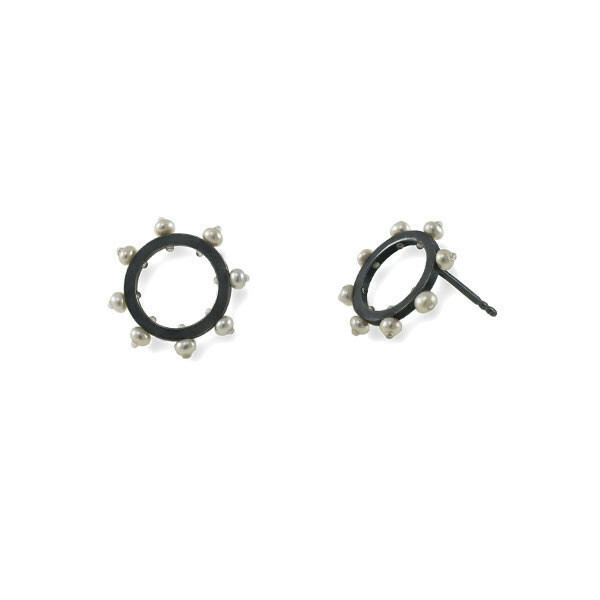 This ear jewelry is available in two sizes and colour variations.